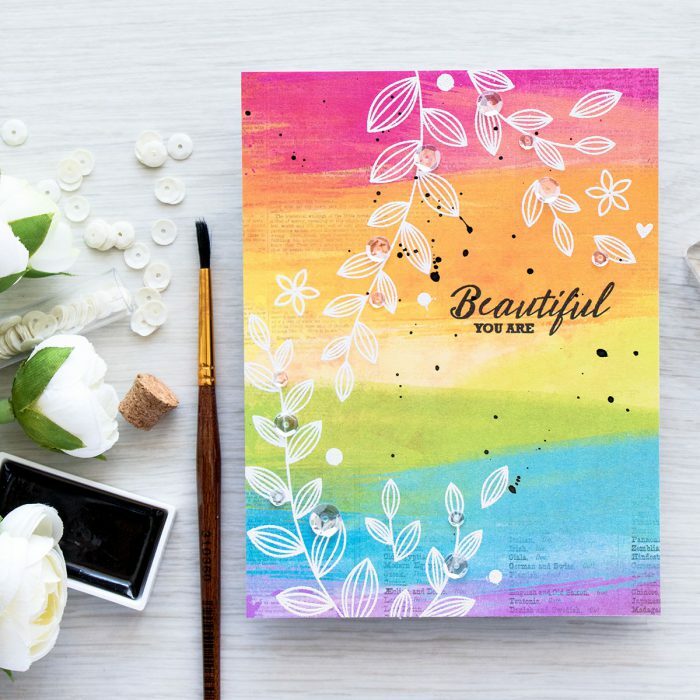 A couple of sheets of paper from the 6×6 Believe pad from the kit have a very beautiful vibrant watercolor look to them. 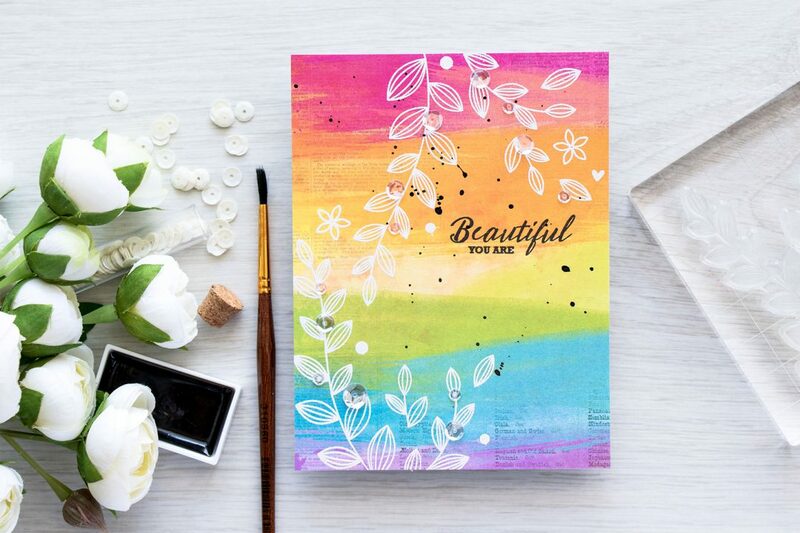 I picked the one with rainbow colors and heat embossed several vines and flowers in WOW Opaque Bright White embossing powder directly onto the paper. 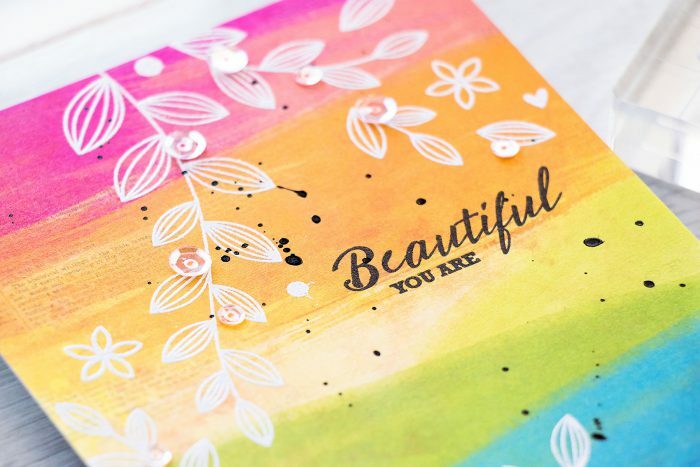 I really like the sentiment in this month kit, the Miracles one, but it was too big for this project, so I went with You Are Beautiful from the Sketch Ranunculus set. I stamped it in black for some contrast. To add a bit of black to this card I also added black splatter (I used my watercolors – the black one for that). Lastly I adhered several clear sequins from Pretty Pink Posh to add some interest to this project. Very nice card Yana ! I love the bright and vibrant colors of this paper. The white embossed vines and flowers on it are just sensational ! Thanks for sharing. awww, thank you so much, Izzy! Very, very pretty Yana, a great job, as always! Very beautiful card. 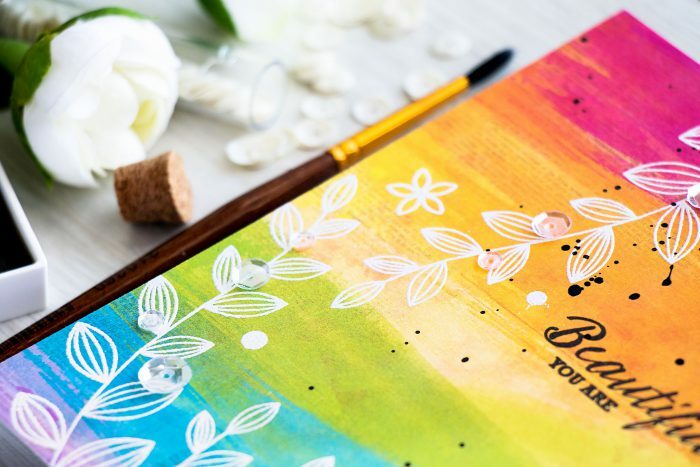 And a great idea for using multi color backgrounds! This is amazing, I thought you had created that background yourself! The white leaves look fabulous on it! thank you! and yes, that patterned paper is definitely awesome! Extremely beautiful card! 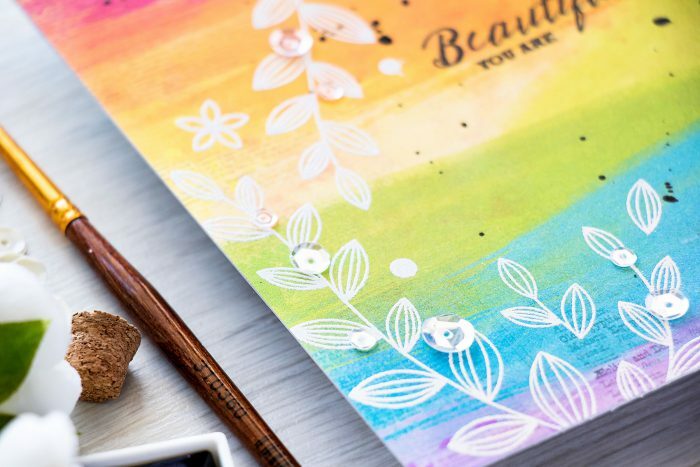 Loving so.much how embossing look against this colorful background! Yana…Your work is impeccable !!! Очень красивая.! Яна, сколько доставка кита в Украину выходит.